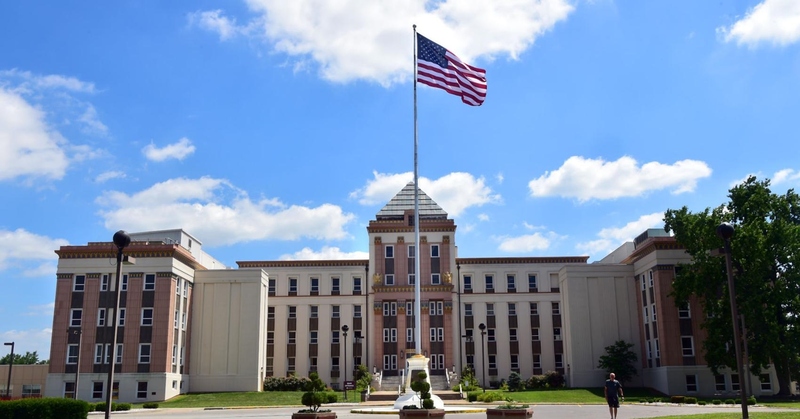 Architura was sub-contracted by Patriot Engineering, Inc. to assist them to provide a study of environmental remediation services for an 8 building campus. The United States Department of Veteran Affairs (VAMC) campus in Marion, IL is the client. Architura provided architectural design for these services. This involved the survey and assessment of building materials located on the hospital campus for lead-based paint (LBP). The team of Patriot Engineering, Inc. and Architura utilized a LBP survey and assessment approach in accordance with guidelines established by the U.S. Department of Housing and Urban Development (HUD), the Veterans Health Administration (VHA), Environmental Protection Agency (EPA), and the Occupational Health and Safety Administration (OSHA). Survey work was accomplished through the collection of bulk samples and the use of an X-Ray Fluorescence (XRF) analyzer. Assessment work was performed by visually evaluating the condition of paint throughout the areas inspected. Overall, LBP survey and assessment work was performed for all eight buildings totaling over 350,000 square feet. In addition, our team classified the survey results and provided a project report and Microsoft Excel® data tables for each building that included the sample location, component, substrate, paint condition, and lead concentration of the materials tested. Results of the survey work were also compiled onto AutoCAD® drawings that outlined the sample locations, areas of LBP, and areas of damaged LBP.